Floyd Brown hails from the Baton Rouge, LA area and started his music career in his early teens. 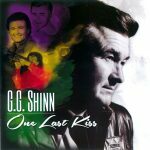 He became a crucial part of the South Louisiana music scene due to his powerful voice and songwriting abilities. Floyd still performs for his legion of fans and has now come full circle by returning to his musical roots. 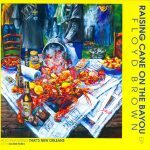 The Raising Cane on the Bayou extended play CD contains four songs that showcase Floyd Brown’s distinctive and soulful voice. “Raising Cane on the Bayou” and “That’s New Orleans” are the first two songs on this EP. 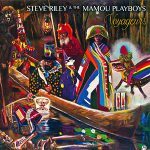 New Orleans musical influences can be definitely heard and felt on these tunes. Both songs were written by Rex Pearce and Dale Murray. Released in May 2015, 4 tracks.